Joshua Topolsky The Verge has a review of the iPhone 4S. It is a very interesting review, well worth your time. This new tech site is also quickly becoming one of out favorites. It has a very new trendy feel to it. Specifications. Some websites said the phone runs on dual core 1GHz processors with 1GB of RAM. Apparently, the iPhone 4S comes with dual core 800MHz processors with 512MB of RAM. While these may not be great, I do not think it hurts iPhone performance too much. Androids and their multitasking nature might take advantage of more memory and faster processors (and that really wont be fully utilized on phones till Android 4.0). Apple run their own operating system which only allows limited multitasking, so direct comparison are hard to make. Basically, last years iPhone worked fine, this years phone will do things faster. Display. We found the comments on the display to be particularly interesting. While the iPhone 4 and 4S have the same 3.5-inch 540 x 960 display, comparing the two, the reviewer found that the old display was better, the new "has a slightly more green-tinted, washed out look compared with the older device". Maybe it is best to wait for more reviews before making too much out of this. Camera. The iPhone 4S camera is much better than the unit on the iPhone 4, and is probably the best reason to upgrade. The review has many impressive sample pictures. Antenna. The reviewer did not notice any improvement in the new antenna on the iPhone 4S and the older design on the iPhone 4, but he never had problems with the iPhone 4 antenna. Battery life. While Apple mentions the iPhone 4S has one more hour or 3G talk time, Apple does not mention that the new iPhone 4S has one hour less of WiFi browsing time. Notably, official specifications indicate that the phone standy time of the iPhone 4S is 200 hours, compared to 300 hours of the iPhone 4 and 3GS. No mention was made of standby time in the review. Speed.The reviewer did not notice any significant speed difference between the iPhone 4S and the iPhone 4. While the iPhone 4S is definitely faster than the iPhone 4, it will take some time before apps will really take advantage of the additional speeds as developer will want their apps to run well even on much slower devices like the 600MHz iPhone 3GS. Software. The reviewer notes that iOS5 which comes with iPhone 4S is one of the biggest software updates ever. It now has a Android like Windows shade notification (in fairness, Windows Mobile 6.5 with HTC Sense had a similar notification system). It also features iMessage (similar to Google Talk) but which allows you to send photos, video locations and contract. The iPhone 4S can now be used PC free, but the reviewer made no mention was made of whether it can do over-the-air (OTA) updates like Androids and the reviewer was apparently using the iPhone 4S to sync with iTunes in his PC cable free, so we have to wait for another review to give as a better idea of the new cable free features of iOS5. The new software pieces are very welcome, but there things about iOS that have begun to feel dated to me. In particular, the OS still feels stuck in this mode of use where you’re constantly jumping in and out of applications blindly, either to get information, or catch them up to the present. That can be frustrating when you’re trying to keep up with something like Twitter. Though the app will alert you that you’ve got new messages to read, it doesn’t download your content until you’ve opened up the program and let it refresh. The same is true for mail, and even messages you receive in IM or IRC apps. This is the major deal breaker with me as far as iOS is concerned. No informational widgets and no automatic synchronization. I like my phone to grab updates before I look at it rather than have to wait when for the app to download it when I want to find out something. Still that is a matter of preference, since most people in the Philippine don't use unlimited data plans, it may not make much difference to local users. Siri. Siri is still work and progress and Apple has said as much. In fact we do not expect it to really improve until it gains a bigger user base since it contacts Apples servers. It should improve as more users use it and the algorithms in Apples computers are adjusted based on more user input. The main problem is that it really works best on WiFi. 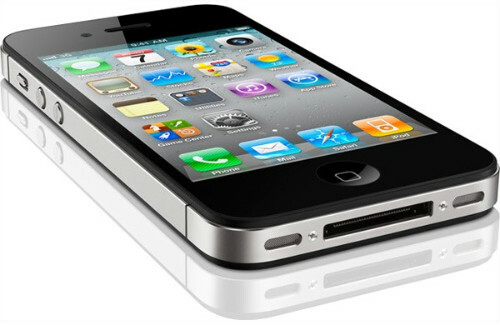 The reviewer found that On 3G response times can be a bit slow, and that is the AT&T network where the iPhone 4S is fastest. What we were most interested in is how much touchscreen interaction is needed when using Siri. Android has voice commands, but it requires me to use a combination of voice commands with physical input from my hand. I don't see a voice control system being useful until the only thing you need to do with your fingers is to turn it on, after which is should be 100% or almost 100% independent on user input from their fingers. GSM Arena has posted a very impressive real life test of Siri, but it does seem to need you to keep pressing a the talk button on the screen. A button on a Bluetooth headset would be better. Looks like we have to wait for others reviews or an actual unit before we can find this out how useful it will be. Still, Siri should be great for messaging and email when it is not convenient to pick up your phone. Since Siri requires a WiFi or 3G connection to work, I don't think this feature will be particularly popular in the Philippines. First, it will consume data. Second the time you save from voice commands would be lost as your device connects to Apple servers. iCloud gives you 5GB of storage for free, which doesn’t count your apps, music, books, TV content, or Photo Stream images. You can upgrade that storage starting at $20 a year for a total of 15GB, to $100 annually for 55GB. iCloud will keep 1000 photos in the cloud for free for up to 30 days. The strange thing is that ff you go beyond 1000, or past 30 days, you start to lose your content unless you move it to another device. There’s is also no way to view your uploaded photos or share them online at this point. iTunes Match is not available yet, so the reviewer did not cover it yet. Upgrade? Is it worth the upgrade. For iPhone 3GS users, definitely. For an iPhone 4 users, I think it would be best to wait for the next iPhone.